What to do when iphone/iPad hangs? We live in a digital era and many gadgets such as the iPhones we use are exclusively operated via the swap mechanism. Imagine your iPhone or iPad hanging when you need to use it urgently. It could happen after modifying the software which in turn breaks various limitations on the iOS app. Another possible cause is update to a newer operating system version. Your iPhone will directly create a path in the process of data transfer and possibly result to the logo being stuck. 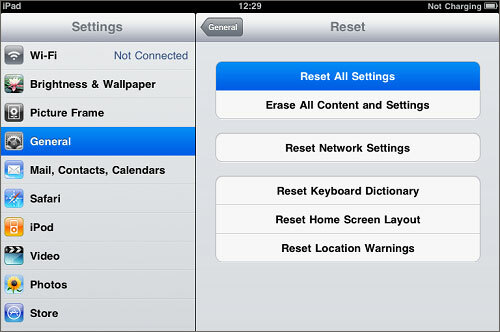 Restarting your gadget is the first option and appears easy as compared to others. An iPhone is simply a computer that completely fits into your hand. So, think in terms of restating your computer when faced with this problem. Restart just means turning your iPhone off then on again. This method is suitable for solving issues of wi-fi connectivity, failure in iOS update to a newer version or backup files restoration failure. These simple steps will get you off the hook. There is a hold button located at the topmost right corner of the iPhone. (It is called the sleep/wake button). Just hold down this button till you spot a slider button on your screen. 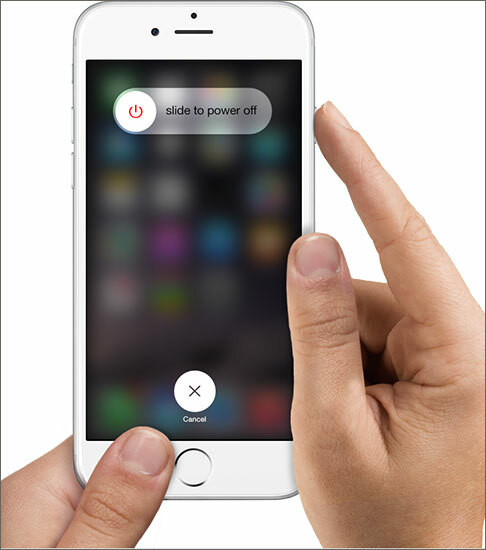 Swap the slider button from left to right as this will cause the iPhone to shut down. You should see a spinner appearing on your screen as it goes off. In the event that it doesn’t shut, simply hold the apple home plus the power buttons all at once until the screen turns dark after some flashes. Once the apple logo disappears, just release the buttons to enable it restart. In case the restart mode cannot yield any fruit, the other possible fix is putting the iPhone into a recovery mode. 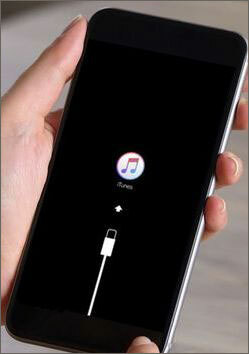 This mode is what allows the iPad or iPhone to connect with iTunes and result to fresh iOS installation. This method is best for use when a bug appears while trying to upgrade your system. It is also suitable in an event that a backup failed and caused the apple logo to hang. Follow these steps to put your iPhone/iPad into this mode and clear off the app logo stuck on your screen. Switch off your device by holding down the sleep/wake button in the same manner as restarting until the screen turns dark. You will need to use your computer or laptop in this scenario. Connect your iPhone/iPad to the computer via the USB port. Make sure that you have not linked the cable with your iPad or iPhone. Plug the cable’s other end to your iPad as you hold down home button. Hold down this button until you are prompted to connect to iTunes. A USB cable image will appear pointing at iTune logo on the computer screen. Once this is seen, release the home button. A pop up message will appear on the computer screen notifying you to update the software on your iPhone. Update and return your iPhone to normalcy. This method may come in handy after a jailbreak process created some problems while modifying your iPhone/iPad’s software. 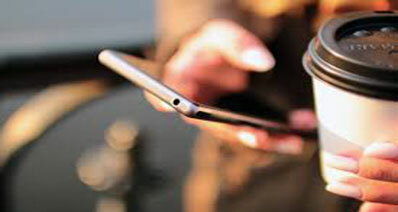 Instead of letting your phone lie in a drawer simply because it has limitations, you may opt to do away with personal data as long as it goes back to normalcy. This will in fact return it to a good as new condition because all data will be erased and every bit started afresh. So if starting a new is the only option left for that apple logo to clear off, simply follow these steps. Backup all of your data. I am sure you wouldn’t want to lose your lovely photos or data just because of a stuck apple logo on the screen. Ensure you keep a copy before attempting this method. You can either use iTunes or iCloud on your computer to sync the phone and back up your data. Once you are sure the data is secure, disable the iTunes or iCloud in order to find the iPhone/iPad you are restoring. Like iCloud for example, disable it by going to settings, click iCloud then sign out from it. This should now give an avenue of restoring factory settings on your phone. Do this by clicking on settings menu, found on the left side of the screen. Click the General menu and then the Reset menu. This will erase contents and get your iPhone/Ipad to normal working status. Save back your data and continue using your device as you please. A better way to ease yourself all the strain and stress when the apple logo hangs on the screen is to fix your iPhone/iPad with iskysoft Toolbox – iOS System Recovery. 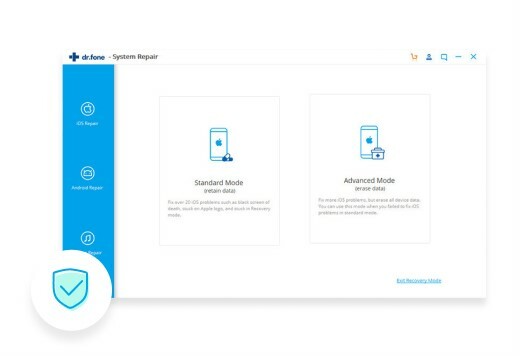 This tool is easy to use as it contains built in features that will store all your data and even return the phone to whatever mode you need it in. You don’t need any technique except a few clicks and the system does everything within a few minutes. iSkysoft Toolbox gives you a simple way of returning your iPhone/iPad to normal from a stuck apple logo on screen. Simply download and install iskysoft recovery tool to your laptop or computer. Open it and then go to iOS System Recovery. Use a USB cable to connect your iPhone/iPad to the computer. Once the device is detected by the program, just click on start. 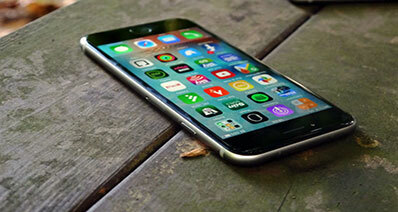 Every iOS device has a corresponding firmware and the program will definitely match one that is suitable. Select the appropriate one and download then let the execution go on automatically. iSkysoft Toolbox will go on to repair your iPhone/iPad’s abnormal iOS and return your screen to a proper working status. The apple logo that hangs on the screen can be done away with within 15 minutes or less by use of this iskysoft toolbox.